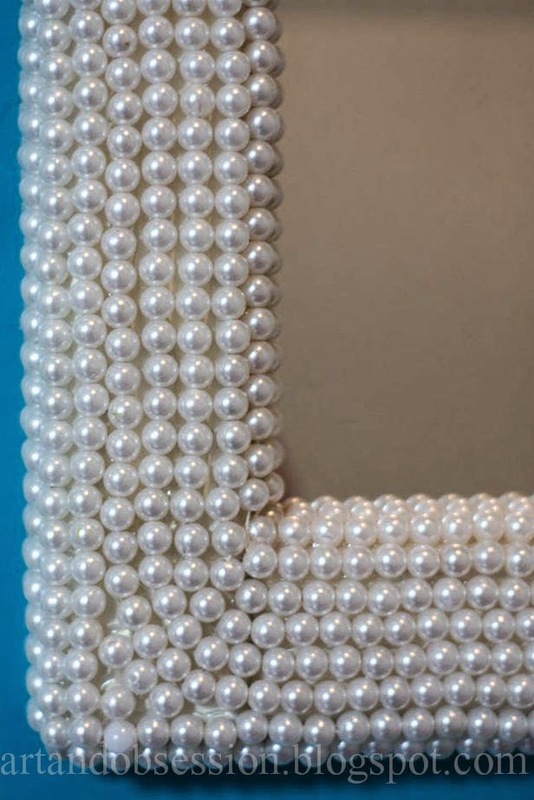 What do you do when you have a bunch of pearl beads left over from a wedding? Here's what I did. First, I strung them into long threads of beads. 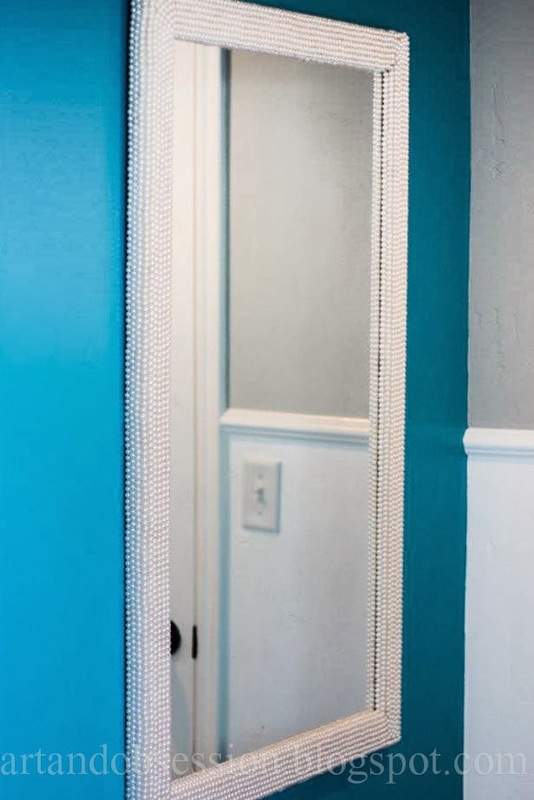 Then I used a glue gun to attach the rows of beads around this thrift store mirror (after painting the frame white). This looks so pretty in Jenna's room. Like what you see? Follow me on facebook by "liking" my facebook page, thanks for visiting.